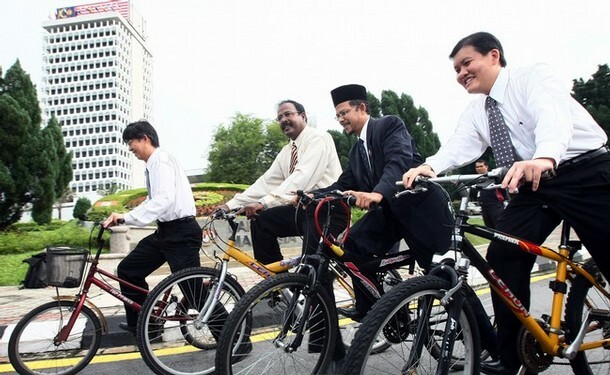 Malaysia‘s members of parliament from the opposition parties (L-R) Tian Chua, Gobala Khrisnan, Zulkfili Nordin and Hee Loy Sian ride on bicycles on their way to Parliament House in Kuala Lumpur on June 23, 2008, to protest against oil price hike. Malaysia announced plans June 22 to set up separate pumps at its border petrol stations to sell fuel to foreigners at market rates so that only locals can benefit from subsidised petrol. 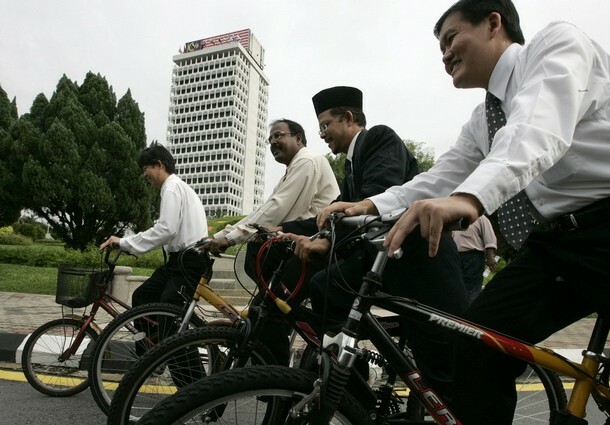 Malaysians now pay 2.70 ringgit (0.83 USD) per litre of petrol, still one of the cheapest rates in the region. 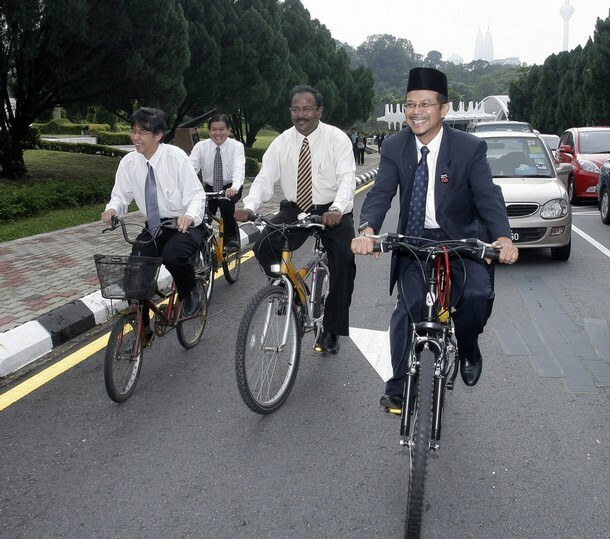 « Desakan MB Selangor letak jawatan!